During the celebration of the COP23, eco-union will co-organize and participate in 3 side-events held in the city of Bonn next Saturday, November 11th. 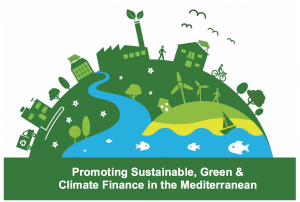 The new report State of the Green Finance in the Mediterranean, made by IEMED and eco-union, will be officially presented seizing the opportunity that represents this 2017 United Nations Climate Change Conference. Presentation of the main findings of the research carried out by eco-union and the European Institute of the Mediterranean. Reflection on barriers, actors and opportunities to improve financing of green economy in the Mediterranean. Discussion on policy recommendations, actions and roadmaps. The Blue Economy Café is a collaborative dialogue on the blue economy hosted by the French Ministry for an Ecological and Solidary Transition, ECO-UNION and Reos Partners. The event aims to explore what Blue Economy means for participants and stimulate discussions about the sustainable development of the Ocean. Participants will exchange insights and share their visions for a sustainable Blue Economy. The Blue Economy Café will draw upon the diversity of sectors and knowledge present in the room. It is designed on the assumption that participants already have within them much of the knowledge and creativity that is needed to confront difficult challenges. You can download the full programs of the events clicking on each title.